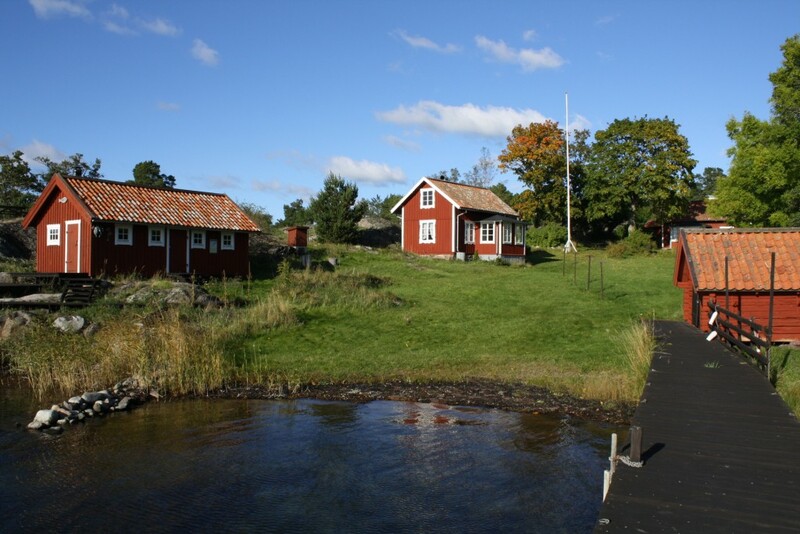 The cottages of Rågskär are named after the island they are located on. 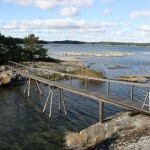 The cottages are beautifully situated by the water and the bridges. Close by, there are bird conservation areas between July 1 and August 15. 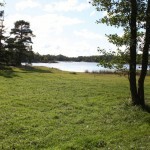 At the island, you will also find a nature trail that the public has access to. Temporary visitors are allowed to moor by the bridges. 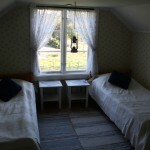 Moreover, you will be able to find unenclosed sheep and bulls outside the field fence of the cottages, and down the beach, that is very well suited for younger children, you will be able to find a private sauna overlooking the beautiful sea and archipelago. 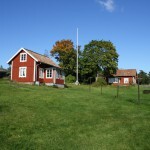 The big cottage has 6 beds, while the smaller cottage, called “The Summer House”, has 5. 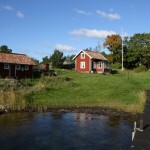 The houses are situated very close to each other. 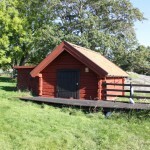 There is no running water, but high quality water can be fetched from a water pump, located very close to the cottage. There is no electricity available on the island either; food has to be cooked on a gas-stove, and the fridge is driven by solar cells. The solar cells can also be used to charge your mobile phone by a 12v outlet The restroom is located in a seperate house. 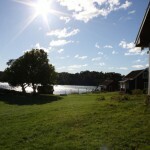 Rågskär can be rented weekly or per weekend. During the period week 23 until week 32 the cottage is only available for rent weekly. You are welcome to arrive after 12.00 PM on Sunday and stay until 12.00 PM the following Sunday or after an agreement. 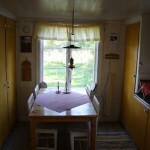 During the period week 23 until week 32 the price for one house is 5000 SEK per week or both houses 9000 SEK per week. 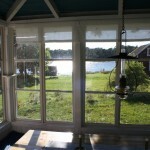 During all other time the price for one house is 4500 SEK per week or both houses for 8000 SEK per week. 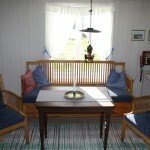 The price for a weekend is 1500 SEK for one house or 2000 SEK for both houses.